The East Clinton FFA Dairy team. The East Clinton FFA Milk Quality team. 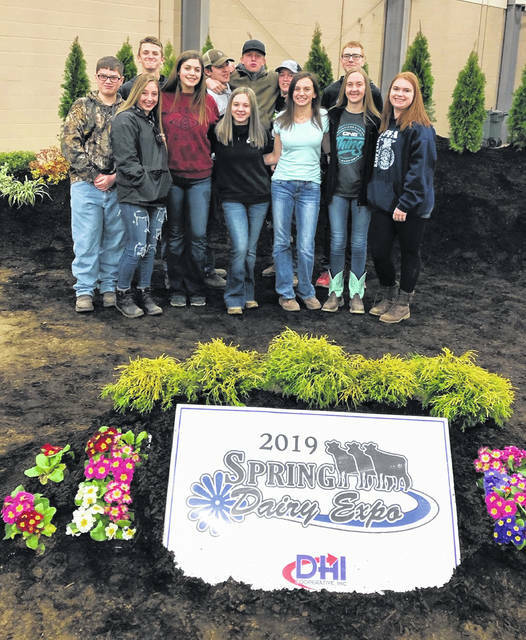 The East Clinton FFA Chapter has had a busy spring so far. 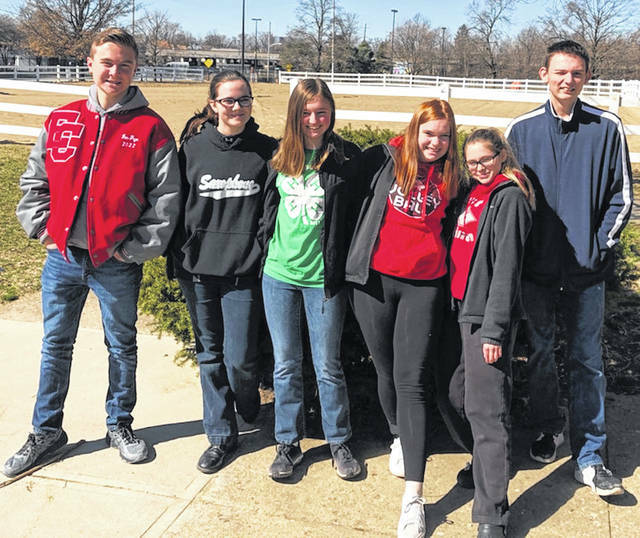 Over the course of the past six weeks, the chapter has been practicing and competing in the spring judging contests leading up to the State Competition. The chapter had several teams including Livestock Judging, Dairy Judging, Dairy Foods/Milk Quality, Equine Management, Poultry, and Agronomy. Each team practiced diligently to compete competitively at each competition leading up to the State Competition. At state, the teams worked very hard to earn some well-deserved placings. On the Livestock team were Alexis Rolfe, Austin Rolfe, Mitchell Bean, Blake Williams, Avery Wood, Haillie Byrum, and Clayton Hansford. At state the team placed 70th. The Equine team with Emma Malone, Brody Fisher, Anna Malone, Brendon Walters and Kori Kile placed 31st. For Poultry, Alonah Hallah, Darren Johnson, Gage Hamilton, and Nicholas Ramirez placed 29th. For Agronomy, Carlie Ellis, Sarah Ross, Carah Anteck, Marci Ellis, and Carter Carey placed 15th overall. For Milk Quality, Paige Bowman, Shawn Morgan, Van Frye, Caitlyn Borrageiro, Myah Anteck, and Jenna Stanley placed third overall. Paige Bowman was first overall in the state and will receive recognition at State FFA Convention in May. The team also qualified for Nationals to take place at the World Dairy Expo in October. Finally, the Dairy Judging team also placed third overall in State Pre-lims. On the team were Jenna Stanley, Brendon Walters, Nathan Vest, Quinten Tolle, Holly Bernard, Maggie Matthews, Lydia Kessler, Parker Stewart, Katie Carey, Ryan Vance, Zach Vest and Chelsey Zurface. The team will compete in Finals on April 26 to qualify for Nationals. The chapter is very proud of the accomplishments they made this spring, and they look forward to many more years.